Have you remember playing congkak, batu seremban, galah panjang, tarik upih and all these olden days games? I did, and I can remember how much fun I had at that time. Just a bit sad thinking of my nephew and nieces or perhaps the new generation is missing these. All I can see now is Barbie Doll, Spiderman, Power Ranger, Doremon etc. Are we missing something here? I would like to qoute from Korff, Rudiger in his paper ' Globalisation and Communal identities in the prural society of Malaysia' might relates to this scenario. Expressions of globalisation and modernisation in monuments like the Menara Kuala Lumpur, Petronas Towers and Kuala Lumpur International Airport (KLIA) contrast sarply with warnings against for-reaching cultural change. Such cultural change is seen to be rooten in a mimicking of the west and reflected, for instance, in the dissolution of traditional bonds within the family. I do remember how P.Ramlee movies use to be the fashion in my childhood time. Time, people, places has changed, indeed! I represent the Y generation and I seriously never really had the experience of enjoying really Malaysian traditional games... aside from batu seremban (Seremban is also a name of a place in Malaysia), congkak, and getah? (can't remember the name). But I really enjoyed Galah Panjang. I hurt myself a lot while playing this game when i was about 8 or 9 y.o. Hahahha!!! I remember now! Konda-kondi is also another game that I had loads of fun playing. it really is a good and fun way to learn math! This is interesting. I am wondering if anyone has any good source on the history of design/artefacts in Malaysia? If the answer is no, or little, maybe it's time we need to have a review on our own design culture! This is important because it will help us understand more about the role of design in our country, before we can actually promote/brand them! 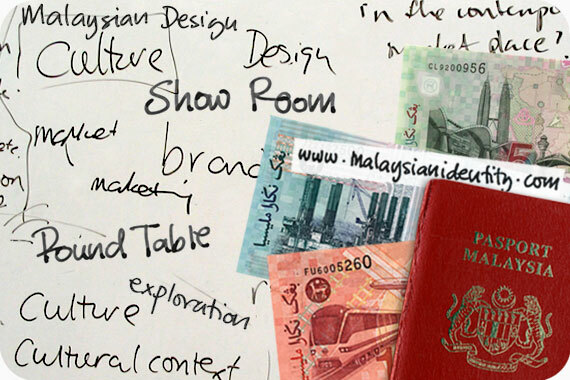 I'm agree with you Chris, I wonder if we can dig the information on the history of design in Malaysia. Would be interesting to see how it evolved..